That is what I think every time I see them practice and perform. By “they” I mean Young@Heart, a popular chorus group in the United States. Thirty members, with an average age of eighty-three. Despite this fact, these grandpas and grandmas perform a passionate and powerful rock-n-roll and rhythm and blues. 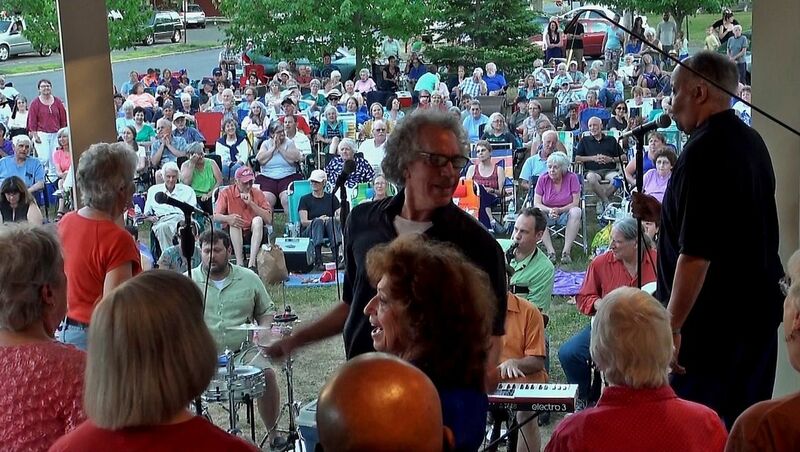 On this summer afternoon, the field in Florence, Massachusetts was filled with 700 to 1,000 people an hour before the performance was to start. Unable to fit everyone in the field, many people set up their chairs in the parking lot and on the sidewalk. The audience ranged from elderly, to middle-aged couples, families with young children, and the hip-hop generation, all dancing to the sounds of Young@Heart. The Rolling Stones, Bob Dylan, James Brown, Billy Joel, The Beatles, David Bowie…their repertoire is astonishing. Some music lovers may say, “They’re simply singing famous songs; there’s no way it can be better than the original…” But the stage that Young@Heart produces will shatter that image. The only way to truly understand the impact of their performance is to watch them live and feel the energy. The true reason for their popularity is not what or how they sing but simply their way of “being”. 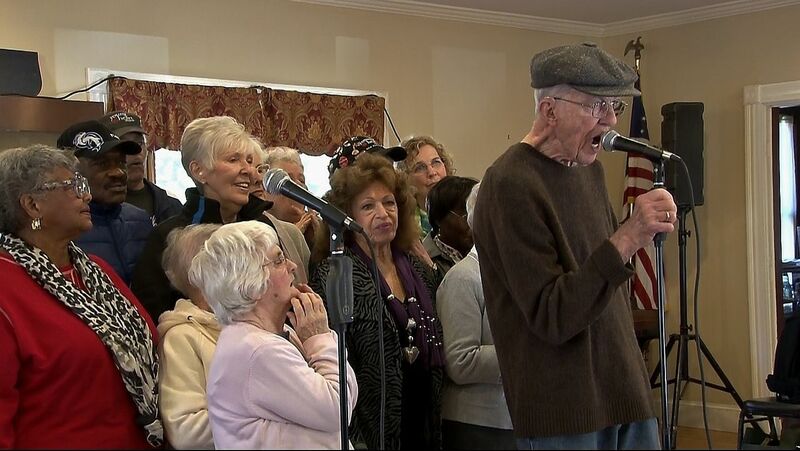 So what is this way of “being?” Bob Cilman, current Young@Heart Chorus Executive Director and conductor, called out to a retirement community in 1982 to start up a chorus group that sings “rock and R&B”, creating the Young@Heart Chorus. It has been nearly 35 years since its creation. Unfortunately, there are no original members left in the chorus today but there are members well into their 90s singing energetically on stage. 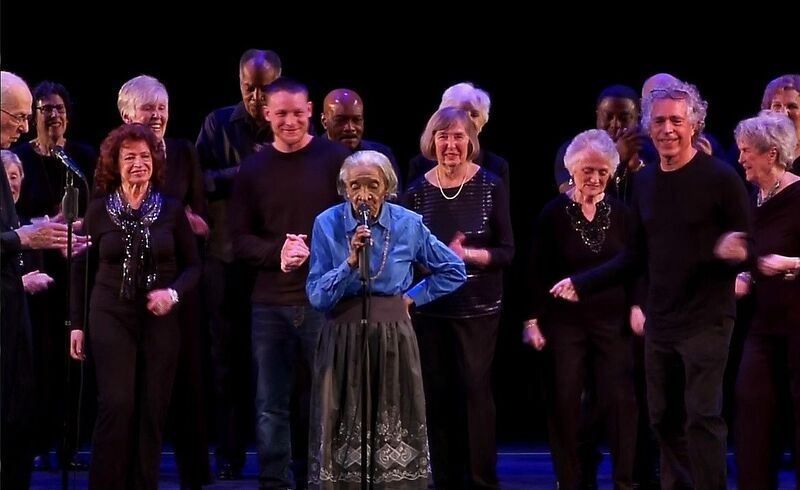 Ninety four year old Dora Morrow,sang “I Feel Good” by James Brown at a concert this April blowing the roof off the house. There are many Young@Heart fans abroad as well and the Young@Heart Chorus has gone on tour in Europe, Australia and twice in Japan. When they perform abroad, they often practice a few songs of the host country as they did in Japan, performing “Linda Linda” and “Ameagari no Yozorani”. Of course there is always a long line of people who want to join Young@Heart. The only requirement to join is that you are at least 75 years old. But the only time a new member can join is when a current member can no longer sing, so the entrance to Young@Heart is narrow. Especially so, because the members of Young@Heart are unbelievably healthy. 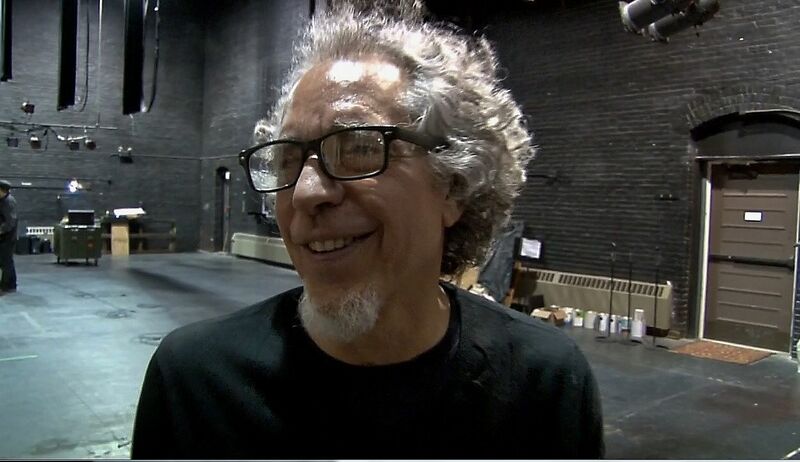 With Bob as their director, they practice twice a week, for two hours, accompanied by a live band and. whenever they are not singing, they are laughing. Young@Heart is funded by individual donations as well as donations from local businesses. They are not simply entertainment but an active part of the local community. 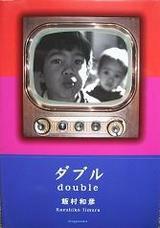 Recently, the chorus has been focusing on social contribution. The most predominant, started two years ago, is the “Prison Project”, which takes place in a local prison. The main activities of the prison project include rehearsals once a week and a concert every six months. Of course, all volunteer based. For the weekly practices, Bob and a few chorus members visit two local prisons, a men’s prison and a women’s prison, providing singing lessons for two hours to whomever wishes. These practices are always full of laughter as well as singing. The prisoners choose the songs they want to sing, which include a few originals. The majority of these are rap music written by the prisoners themselves. The name of these singers is the “Old Souls”. This also, they chose for themselves. They then perform what they have been practicing at the Prison Concert. The audience is limited to the prisoners, family, and staff but they still add up to quite a few, enough to make the “Old Souls” nervous. But as soon as the concert starts and the Young@Heart members start to sing, the atmosphere transforms into a warm, welcoming environment, allowing the prisoners to perform their best. Witnessing these prisoners singing along with the grandmas and grandpas of Young@Heart is exceptionally moving. At the end of each concert everyone, including the audience, raises their right arm above their head and sings “Forever Young” by Bob Dylan. Moments later the room is filled with cheers. The voices and down to earth personality of Young@Heart moves something within the hearts of the prisoners. 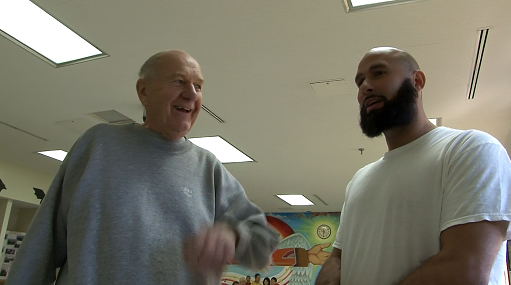 Over time, the prisoners get attached to Young@Heart and join their community. The “humanness” of Young@Heart is astounding. So what triggered this Prison Project? According to Bob, it was the concert they did at a prison in 2006. At first, they had no idea what would become if it but the results were unbelievable. Bob recalls, “It was a kind of magic and I realized that I had to come back again. But next time we wouldn’t simply perform for them, it would be wonderful if we could hear them singing” So, Bob then created this Prison Project to fulfill this goal. What is it about a movement involving music that only a group of people averaging 83 years of age can accomplish? Perhaps it is their positive attitude towards music and their passion towards something they love. And above all, the message that, “It is never too late to start something new!” which they prove to us by doing it themselves. They send the message loud and clear but for some reason there is nothing overpowering about it. This relaxed nature must be a result of a long life of experiences the members bring together. This way of “being” expressed by the Young@Heart Chorus touches the hearts of the prisoners and changes their perception. For a long time the prisoners struggled with the feeling of inferiority, stress in the surrounding environment, regret, and above all the negative attitude of, “It’s too hard to rebuild my life,” but because of this project they seem to be slowly moving towards a more positive perception of life. Sheriff Robert J. Garvey of Hampshire County Jail & House of Correction, praises the Young@Heart Project. “It is a great opportunity for the prisoners to realize what their abilities are and what purpose they can hold. They were able to join a community that works towards a goal together. It is also an amazing opportunity for them to build a relationship with members of society.” He believes that this project could “transform” the prisoners as well as the local community. Surely, in Japan too, there are a lot of elderly people like those in the Young@Heart Chorus. People who are playful and energetic, enveloped with plentiful life experience. Perhaps, if there was a community where these people could thrive some problems would cease to be problems? Of course it is important that the government creates a reliable safety network but in addition to that, if the community could look after each other and establish a positive relationship in which people work together to create something they love, the local environments would see positive transformation. The Young@Heart Chorus is a perfect example of this.